Birmingham Ballet Academy, Corky Bell School of Dance, Thornburg Dance Studio, are just a few of the dance companies, dance schools, dancing organizations and dance wear suppliers that that can be found in our comprehensive Directory of Alabama Dance Companies. Photo: University of Alabama Theatre and Dance Department. Birmingham Ballet, founded and directed by Cindy Free, is a self-sustaining community arts organization with a mission to provide professional quality family entertainment, a training ground for aspiring talent and a performance outlet for dance enthusiasts of all ages. All dancers from Birmingham and the surrounding area are invited to audition to perform with the Birmingham Ballet. Birmingham Ballet Academy serves as the official school of the Birmingham Ballet providing faculty and rehearsal facilities. There are many fine dance schools in Alabama . I know I am in contact with them as we supply a range of high quality dancewear products like leotards, dance pants, dance dresses and other dancing apparel. Bangkok Companies supplies an amazing range of dancewear from Thailand. I have looked at these dance garments and dance accessories in detail. There is only one word to describe them Superb. For more details click on the pictures or send an email to bangkokcompanies@gmail.com We regret at this time we can only satisfy Alabama wholesale dancewear requests. 2721 Halcyon Downs Loop AL 36117 Montgomery, Alabama U.S.A.
2515, E Glenn Ave, Ste A107 AL 36830 Auburn, Alabama U.S.A.
terminology.Dance School, ballet. Classical ballet. 2198 Columbiana Rd. - Suite 100 AL 35216 Birmingham, Alabama U.S.A.
6009 E. Shirley Ln. AL 36117, Montgomery, Alabama U.S.A.
Official Performing Ballet Company of the City of Montgomery. 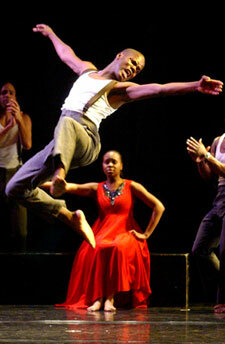 PO Box 373 AL 35804, Huntsville, Alabama U.S.A.
2726 1st Ave South AL 35233 Birmingham, Alabama U.S.A.
6641 Moffett Road AL 36618 Mobile, Alabama U.S.A.
Ballet: The building block of all dance styles. In this class, proper technique and placement are emphasized. Tap Dancers explore various rhythms and musical patterns used in tap dance. Different styles of tap are studied in each class such as Broadway, hoofing, hip-hop & two step, as well as many others. Musical Theater: A must for any dancer who wants to be the ultimate triple threat. This class includes singing, dancing and acting all at the same time. Ballet, Tap, Jazz, Acrobatics, Hip Hop, Musical Theater, Pointe, Lyrical, Leaps and Turns Class, Cheerleading, Clogging & Back Handspring & Tuck Class. 260 HIghway 83 35087 Alabama Harpersville U.S.A.
Suite 15, 2500 Old Alabama Rd GA 30076 Roswell U.S.A. Setting the Standard in Dance Education...Ages 3-Adult, Certified teachers on all levels of Jazz, Tap, Ballet, Lyrical, Modern, Acrobatics, Musical Theatre & Hiphop. Home of "The Vibe"
3695 Watermelon Road AL 35473 Northport, Alabama U.S.A.
1216 East Three Notch Street AL 36420 Andalusia, Alabama U.S.A.
College Avenue AL 36908 Gilbertown, Alabama U.S.A.
6436 Middleton Lane AL 35126 Pinson, Alabama U.S.A.
305 Fels Avenue AL 36532 Fairhope, Alabama U.S.A.
907 Montgomery Highway AL 35216 Vestavia Hills, Alabama U.S.A.
800 Regal Drive SW AL 35801 Huntsville, Alabama U.S.A.
7154 Cahaba Valley Road AL 35242 Birmingham, Alabama U.S.A.
104 Broadway Street AL 35209 Homewood, Alabama U.S.A.
938 Main Street AL 36274 Roanoke, Alabama U.S.A.
PO Box 870239 AL 35487-0239 Tuscaloosa, Alabama U.S.A.
2726 1st Avenue South AL 35233 Birmingham, Alabama U.S.A.
2726 First Avenue South AL 35233 Birmingham, Alabama U.S.A.
4351 Downtowner Loop North AL 36609 Mobile, Alabama U.S.A.
009 East Shirley Lane AL 36117 Montgomery, Alabama U.S.A.
2726 1st Avenue South AL 35233 Birmingham, U.S.A.
2515 E Glenn Ste Al07 AL 36830, Auburn, Alabama U.S.A.
2726 First Avenue South AL 35233 Birmingham, Alabama| U.S.A.
1800 8th Avenue North AL 35203 Birmingham, Alabama U.S.A.
2867 Fortner Street AL 36305 Dothan, Alabama U.S.A.
2515 East Glenn Avenue, Suite A107 AL 36830.6448 Auburn, Alabama U.S.A.
AL 36106-2148 Montgomery, Alabama U.S.A.
719 4th Place SW AL 35007 Alabaster, Alabama U.S.A.
129 Cleveland Street AL 35010 Alexander City, Alabama U.S.A.
639 Alex City Shopping Center Drive AL 35010 Alexander City, Alabama U.S.A.
23 1st Avenue NW AL 35016 Arab, Alabama U.S.A.
765 County Road 1845 AL 35016 Arab, Alabama U.S.A.
1266 Hueytown Road AL 35023 Bessemer, Alabama U.S.A.
3440 Warrior River Road AL 35023 Hueytown, Alabama U.S.A.
911 1st Street SW AL 35044 Childersburg, Alabama U.S.A.
107 Main Street North AL 35051 Columbiana, Alabama U.S.A.
2030 Main Avenue SW AL 35055 Cullman, Alabama U.S.A.
306 1st Avenue SE AL 35055 Cullman, Alabama U.S.A.
3524 Decatur Highway AL 35068 Fultondale, Alabama U.S.A.
105 3rd Street North AL 35121 Oneonta, Alabama U.S.A.
3050 Lee Street AL 35124 Pelham, Alabama U.S.A.
851 Park Road AL 35127 Pleasant Grove, Alabama U.S.A.
Country Village Shopping Centre AL 35148 Sumiton, Alabama U.S.A.
503 North Broadway Avenue AL 35150 Sylacauga, Alabama U.S.A.
802 North Broadway Avenue AL 35150 Sylacauga, Alabama U.S.A.
5883 Highway 119 AL 35115 Montevallo, Alabama U.S.A.